Give up coffee creamer. This actually went pretty well. I gave up creamer before I went on vacation to the U.P. so I think that helped. I drank my coffee with milk while on vacation, and then by the time I got home, I was ready to just drink it black. I thought this was going to be way harder than it was. Walk every day for at least 15 minutes. I didn't do this every day. But, I really only missed a couple days and one was due to rain. If I didn't get a walk in before work, I would go on my lunch break at work and listen to a podcast while I walked along. In fact, the background picture for my July goals (seen before) was taken on one of these walks. I've also been riding my bike a lot to run errands and to go to the park. And, by only setting a time of 15 minutes, I find that I don't feel like I don't have time to get it done, and most of the time I end up going at least a half hour. But, if I am pressed for time, 15 minutes still feels like success sense that's the requirement I set. Blog at least three times a week. Success! Using a blogging calendar and setting time aside to plan has really made all the difference. I plan on continuing that in July. Write every day. Specifically, using The Writer's Workbook for an exercise every day. Eat breakfast in the park at least once a week. I've gotten up a couple mornings, and biked to the park at the other side of town (remember: my town is small, this literally takes 15 minutes tops) and eat breakfast in the park, write, read, and just watch the geese. There's usually no one else there, and it's so peaceful, and usually very productive. It's just about making the time to do it. Sew three big projects. I finished a commission last month, and am ready to get back to sewing for me. I have a wedding to go to, a couple birthdays, and such coming up so I want to get some sewing done for them. I have this tote bag kit from Craftsy that I want to make, and a few others in mind. So what are you hoping to accomplish in July? And want to see what everyone else is doing? 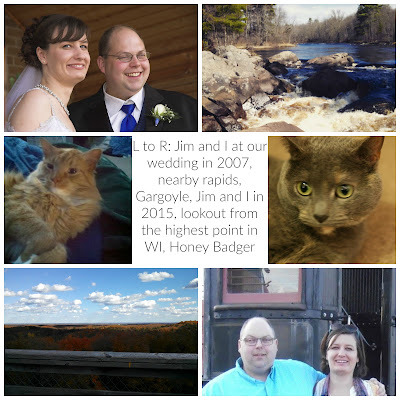 Check out the monthly link up hosted by My So Called Chaos and A Peek at Karen's World. Congrats on doing so well toward your goals! Thank you! I think my little get away to Michigan's Upper Peninsula was great at refocusing and inspiring me. Mattie, it has reduced the amount of coffee I drink, because I just don't crave it like before, but that's probably a good thing, because I was drinking a ton of coffee before. Congrats on the results of your June goals! Sounds like a success! The park sounds like such a lovely place to unwind and absorb what the nature has to offer. Good luck for this month and have tons of fun! Thanks Elizabeth. I live in a little town and often bemoan the lack of culture around here, but the flip side is there's tons of opportunities for solitude and to enjoy nature. It looks like you hit all of your goals. YAY! And best of luck with continuing to reduce sugar intake (very smart, going in little steps, with this) and on the sewing projects. You can do it! I think baby steps are key- seeing success makes you want to keep going instead of overwhelming yourself with big goals. 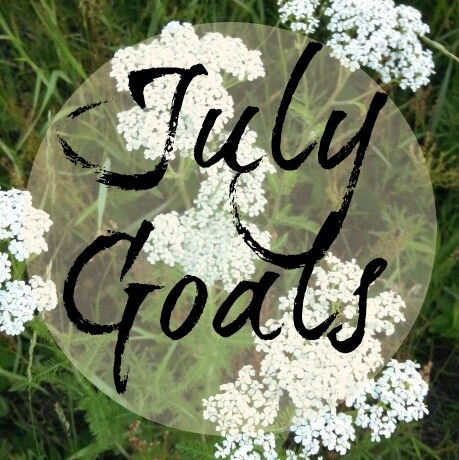 You did great with June, and your July goals seem very realistic. Hope this month is going well; hard to believe it's almost over.